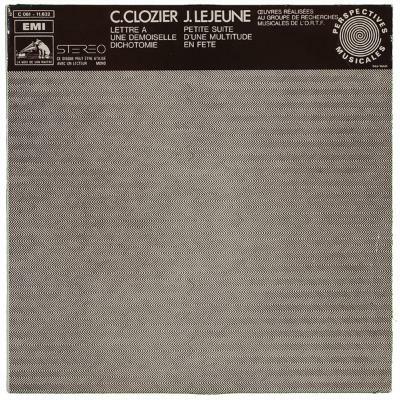 I listen to a lot of old experimental records for some reason and this LP in particular stands out due to Jacques Lejeune's Petite Suite, with its mixture of tape collage, percussion and electronic sound. The highlight being 'Danse' with its drum breaks and fuzz guitar panning from speaker. We did try and replicate the artwork for the new Anthroprophh LP with its 3D artwork, but it was too expensive to re-create.